Amy Gilbert started Perfect Balance in Reem Island’s Tamouh Tower in 2017 to fulfil a long-held dream of providing Abu Dhabi with a high-quality, specialized rehabilitation center. After graduating with a BSc (Hons) degree in physiotherapy from the University of Southampton in the UK, she spent more than two years working for the National Health Service in South London, gaining experience in orthopedics, musculoskeletal outpatients, neurology, post-surgical and intensive care. In 2012, Amy relocated to Abu Dhabi, where she grew up. After stints at Healthpoint Hospital’s Knee and Sports Medicine Center, she spent two years working at Bounceback Physiotherapy Treatment Center. 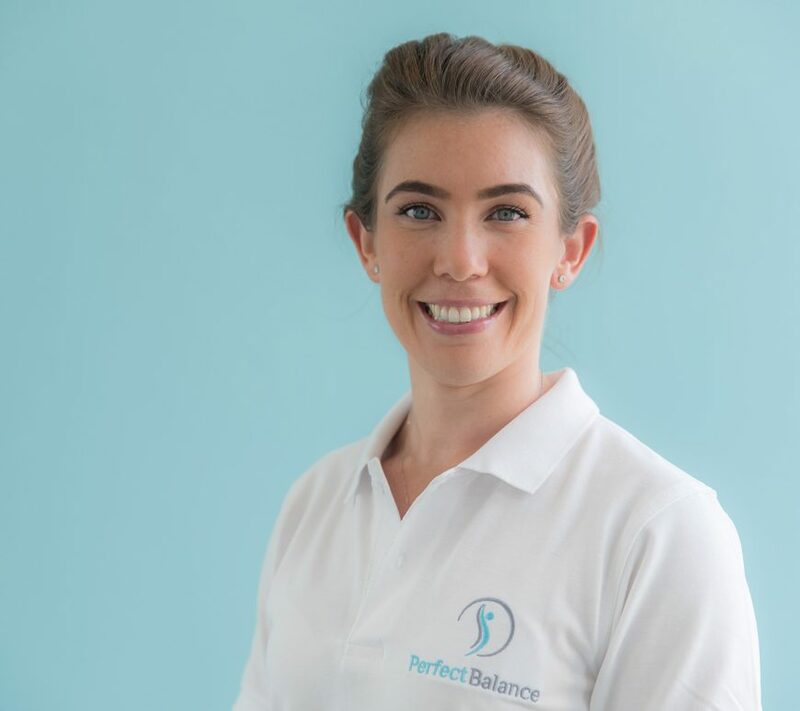 Amy specializes in physiotherapy for women, is an experienced rehabilitation pilates instructor and uses the foundations of pilates to promote safe and healthy exercise. You may recognize her from the inspiring RPM or Bodypump classes she has taught around the city. While in London, Amy also worked for the Southeast 1 League rugby team. In Abu Dhabi, she continued to work in sport, with the UAE Under-16 girls football team, the Ferrari World acrobats, the Gaelic Football team and treating international tennis players at tournaments held in the capital. And when many of the Abu Dhabi’s top pilates and yoga teachers get injuries, Amy is who they call.